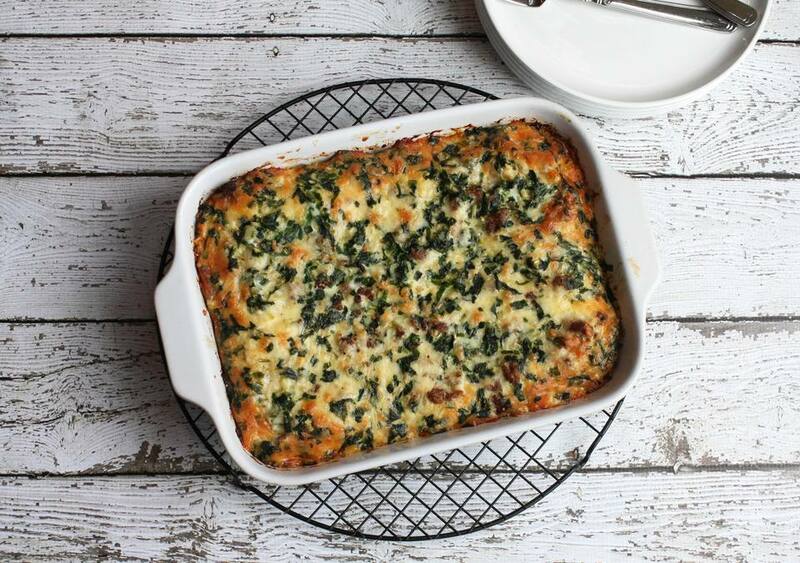 This is a delicious combination that makes an incredible casserole, perfect for a busy holiday or weekend morning. Make it the night before and pop it in the oven in the morning for an easy, on-the-go breakfast that takes little effort. Butter a 9-by-13-inch baking dish. Heat the oven to 325 F (165 C/Gas 3). Cube bread and place evenly in the prepared baking dish. Sprinkle evenly with sausage and cheese. In a bowl, whisk the eggs with the milk, salt, and pepper. Pour over the layers in the pan. Bake 45 minutes or until set. Cut into squares to serve. This casserole may also be prepared the night before. Just cover and refrigerate the unbaked casserole. Take it out of the refrigerator about 15 minutes before baking time; bake as directed.